HFI: Humanitarian Film Initiative | Human. Film. 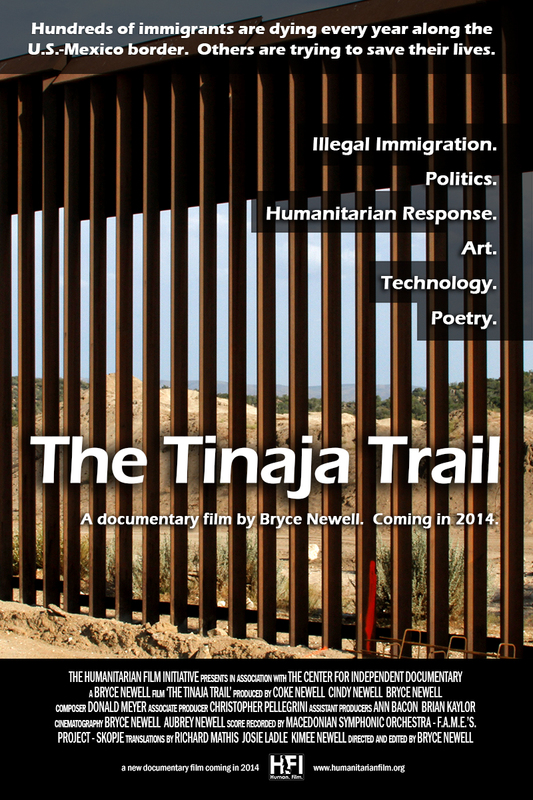 The Tinaja Trail will be screening on May 1st in St. Petersburg, Florida at the Sunscreen Film Festival. The screening is free! Check the schedule for an updated screening time, as the time is subject to change. 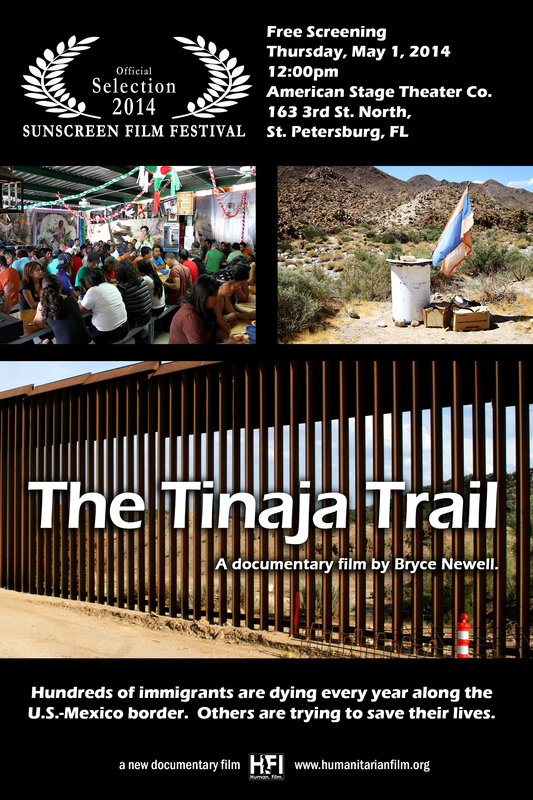 We are pleased to announce that our documentary, The Tinaja Trail, will screen in Tucson at the Arizona International Film Festival this Sunday, April 13th at 3:00pm (@ The Screening Room, 127 East Congress). The film documents the work of a number of Tucson area organizations (including the Samaritans, Humane Borders, and Kino Border initiative), and was filmed along the U.S.-Mexico border from Nogales, Arizona to San Diego, California. We are very excited that the film’s director, Bryce Newell, will participate in a panel discussion with members of the cast, who will also be present on Sunday after the screening, to talk about the issues raised in the film, especially those confronting the Tucson area.